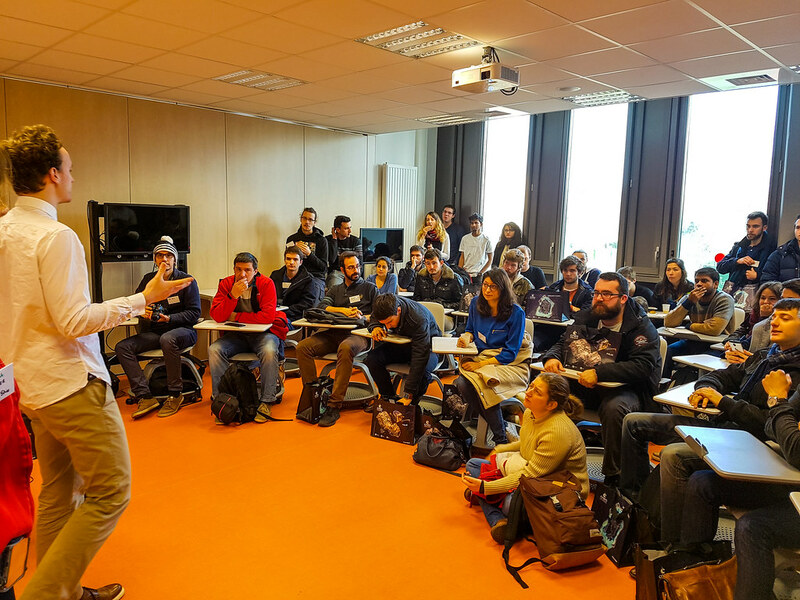 For this fourth SpaceUp edition in France, the space unconference, the SpaceUp France team has shown their competences to manage this event “as professionals”, as said by Remco Timmermans, CEO of the SpaceUp foundation (LA). This edition, called SpaceUp Toulouse 2017, is the second SpaceUp happening in the European space capital Toulouse. The event took place on Saturday and Sunday 4th & 5th February 2017, at ISAE Supaero. Who was at Space Up Toulouse ? The event gathered about 160 space fans, with 30% of women, and 17 nationalities were represented. 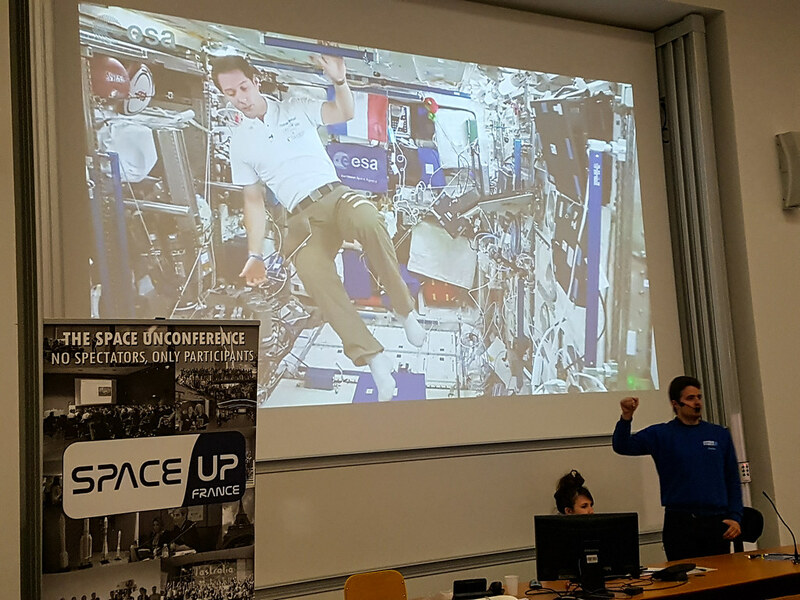 This SpaceUp was as big as SpaceUp in Ecole polytechnique in 2015, so one of the greatest SpaceUp managed in Europe. Twenty participants were randomly picked to participate to the pre-event programmed a day before. 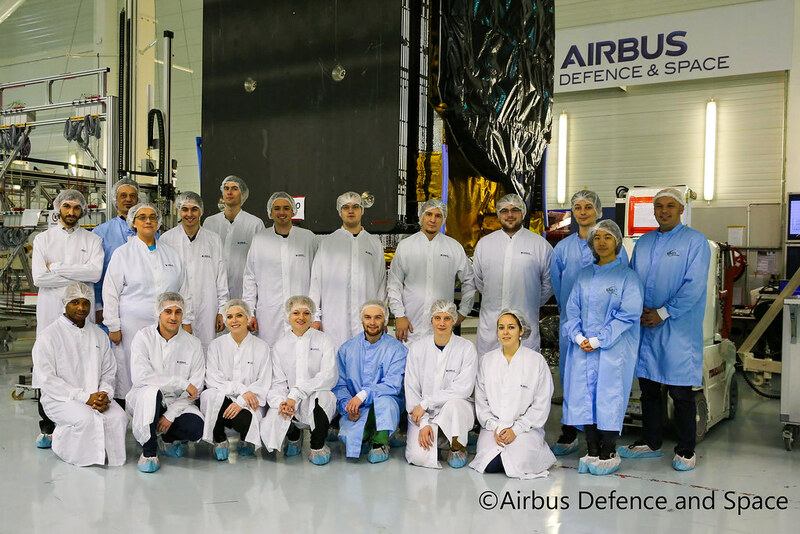 They had the privilege to attend a guided tour in the Clean Rooms of Airbus Defence and Space. As the name unconference suggests, most of the grid sessions were carried out by the participants themselves. Their presentations in English were of great quality and sometimes very detailed. The topics were extremely diverse, ranging from human factors within martian missions, Astro-Pi challenge, ISS vitsite in VR, general relativity applications, exoplanets, and projects presentations, experiences stories, introductions to Start Up or associations. Sylvestre Maurice : planetologist at IRAP, director of the french team at Mars2020 NASA program, designer of SuperCam. Sylvestre Maurice talked about Martian missions working nowadays and in the future, and about the scientific interests concerned. Léopold Eyharts : ESA French astronaut, he talked about ISS missions and detailed Proxima program. Martin Giard : cosmologist, IRAP ex-CEO, talked about the Planck mission. Pascal Régnier : Airbus DS engineer, talked about the JUICE mission. We also had an intervention on video from Tommasino Gidini, director of materials department at ESA ESTEC, who couldn’t be physically here, but talked of one the greatest projects of ESA : Moon Village. Finally, the key personality of this event was ESA astronaut Thomas Pesquet. Within a video recorded from the European Colombus space laboratory on ISS, Thomas Pesquet did answer to questions of participants who were the first to register. The video diffusion was a great moment of this event. 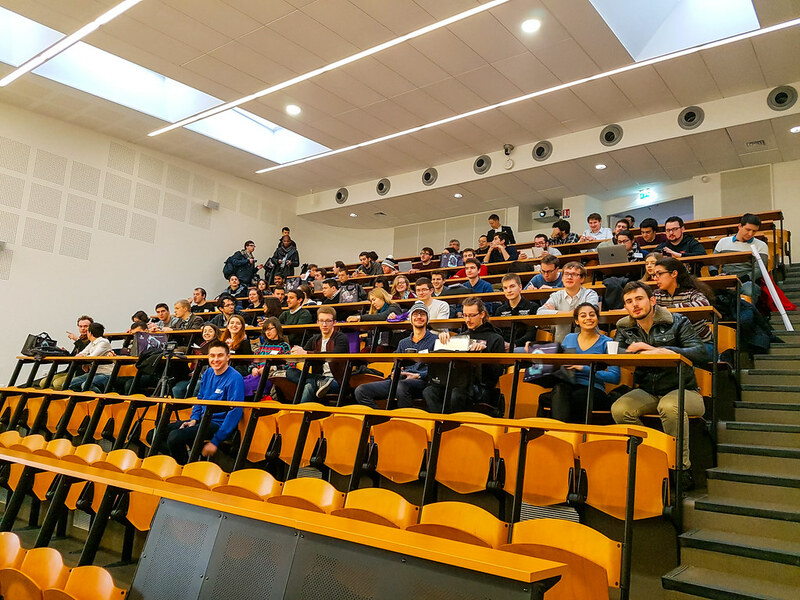 The unconference gathered during a week-end space fans coming from different social and professional backgrounds: astronomers and aerospace engineers, bloggers and major players of the space industry, students and professionals, experts and novices. The grid sessions (20 min) and the group meals eased conversations and allowed the participants to meet new people, discover new areas of interest, share or communicate their passion, their projects, or just their curiosity. The bonds created during the event will forge a strong professional and private network, which may put to use in the years to come. Some identified groups of people willing to promote or test their ideas, others developed new friendships and extended their professional network. Doing unconferences is also a way of making everyone participate. A SpaceUp is an opportunity for professionals and fans to get to know each other. It is a good way for companies to get a feedback on their work but also to understand and analyze new trending ideas (social media, crowdsourcing, open-source…) and apply them to their respective sector. Finally, a SpaceUp is also a way for everyone to share their projects and their ambitions in the aerospace industry (start-up ideas, summer schools or trips). The event is source of inspiration and motivation and gives the chance to be supported by a community who shares the same passion. This SpaceUp was a great success, by proceedings but also by the management. Through a post-event survey, we had excellent recommendations from participants and a general good appreciation of the event. Most of participants are interested to participate to a new SpaceUp. 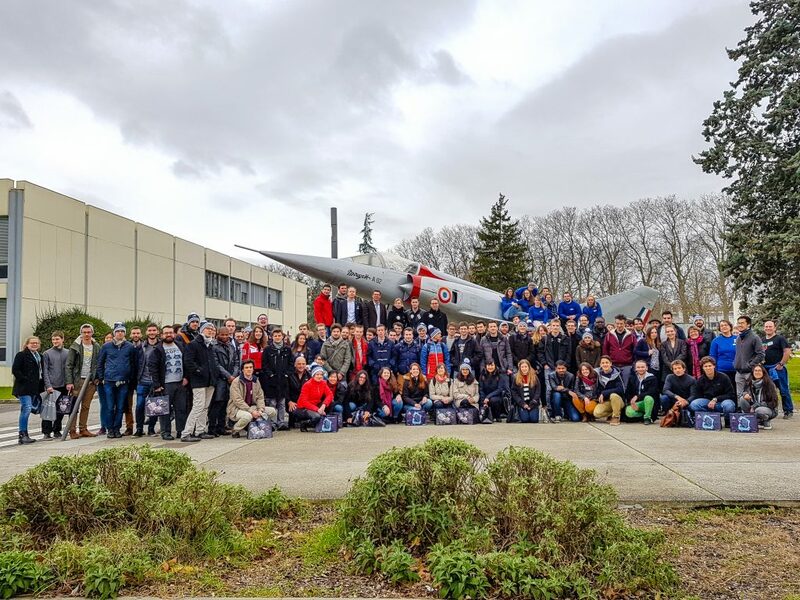 Since its creation, the SpaceUp France association has been very active on social networks (Facebook, Instagram, YouTube, Flickr), in particular on Twitter. The day following the event, nearly 1200 tweets had been sent by 157 contributors, with a potential impact on 1.6 million people. These figures give the idea of the impact of our event on Twitter and they only represent the tweets sent during the week-end. The total reach of the association is even greater. In the media, SpaceUp Toulouse was visible on CNES, ESA, Rêves d’Espace, SpaceUp.org, Aeromorning and many other websites. The event even had a page-long article in the space magazine Espace & Exploration. Light-painting workshop : programmed for Saturday, this funny workshop gave to participants the opportunity to take with them a souvenir proper to their contribution. Space Quizz : Space Quizz sessions were programmed with T-20 sessions sunday morning, free access to Cité de l’Espace as prices. 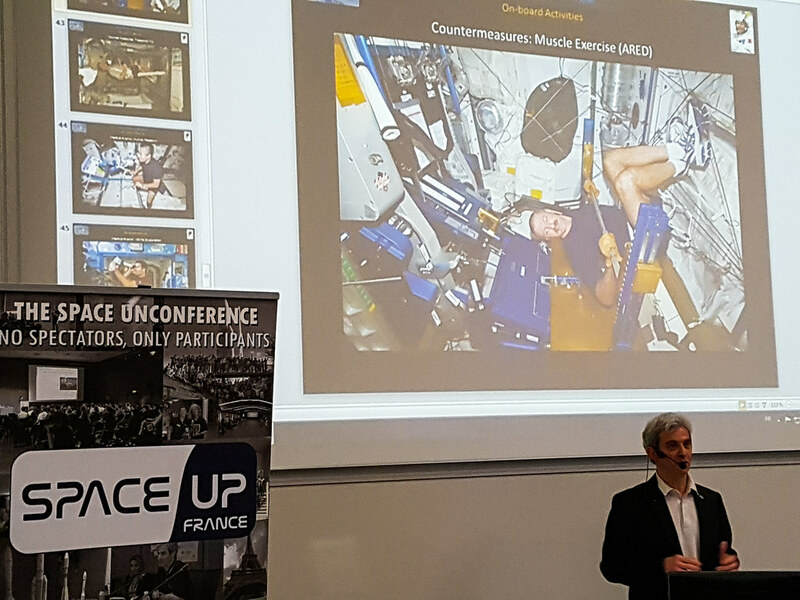 Thomas Pesquet : for lack of direct contact with the astronaut on ISS, the SpaceUp Toulouse team gave a lot of themselves to get with ESA contribution, this interaction between Thomas Pesquet and participants. 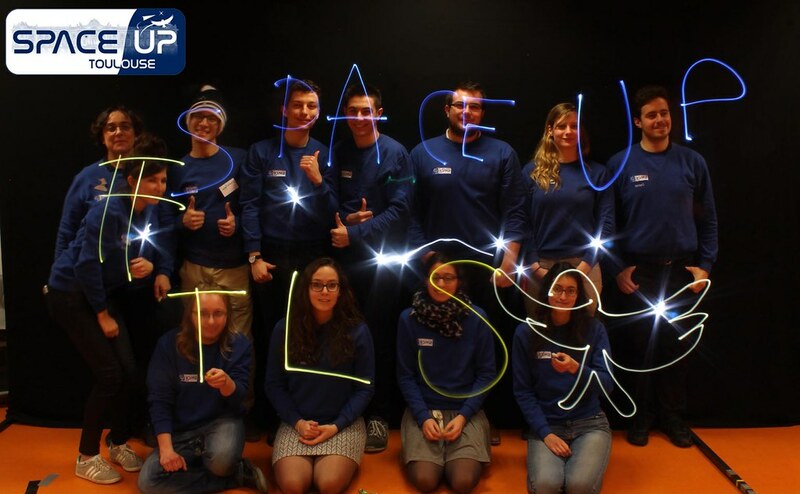 This video is the major innovation of SpaceUp Toulouse and through it, we are proud to have propagated the SpaceUp concept into space! TLJ #SpaceTalks, Novembre 2018, Bordeaux : Cadre typique pour des discussions spatiales !